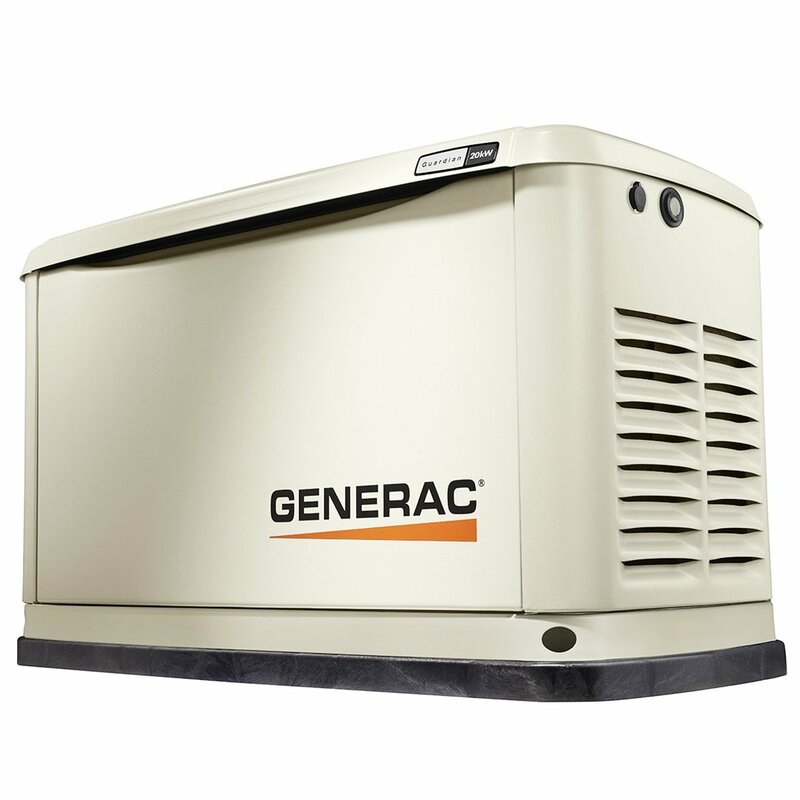 One of the very first companies to engineer an affordable generator for residential use as well as develop engines specifically for generators, Generac is today the most trusted and highly sought after brand name in the world. This company was established in 1959 and began catering to industrial and commercial requirements. They realized the immense potential present in the portable generator market and promptly began production plans for residential generators. Some of their designs form the basis for generators manufactured by many other brand names around the globe. From the smallest to the largest portable generators, Generac has it all! X-Torque Governer increases engine efficiency, prevents stalling and improves customer satisfaction. Fully pressurized lubricated OHVI engines on all portable generator models. Exclusive bright orange and black layout on all Generac products. EPA Certification and CARB only certificate on a few select models. 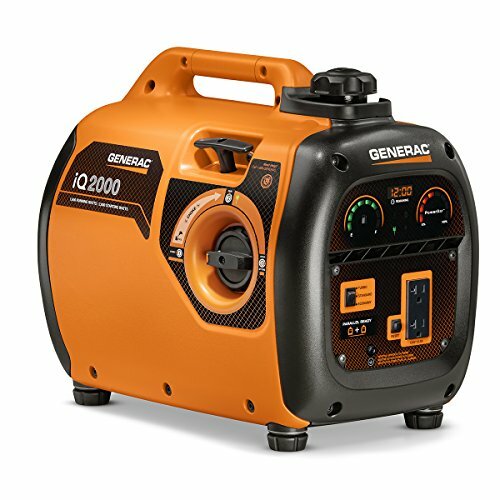 ​Generac’s iQ2000 is the ideal generator for powering your desired loads in a variety of outdoor environments, including parks, campsites, backyard parties and tailgating events. Third-party testing has proven the iQ2000 to be quieter than its competitors*, which allows users to provide power to their desired loads without disturbing those around them. The generator can be connected to a variety of sensitive appliances, including electronics, as its digital inverter module converts the raw power it produces from DC to AC power. Best of all, the iQ2000 is easy to use and boasts innovative features not found on any other inverter generator in the industry. While the unit’s Start, Run and Stop functions can be manually set via the iQ2000’s PowerDial, users can toggle between Turbo, Standard and Economy modes through the use of a simple switch to reduce noise and fuel consumption rates based on load requirements. The Generic GP8000E 8,000-Watt gasoline powered portable generator is great for home use, camping, job sites and outdoor events. With a 7.5 gal. fuel tank, this portable generator can be continuously run for up to 12 hours. The low-tone muffler helps ensure quiet operation and the fuel gauge shows you when refueling are needed. An ergonomic fold-down locking handle makes transport and storage easy. Covered, circuit breaker protected outlets provide added protection from the environment and rugged working conditions. This generator has electric start with recoil backup, battery included and a 420cc engine that runs on gasoline. It includes an hour meter to track maintenance intervals. Low oil shutdown that detects a low oil level and shuts the engine down to prevent engine damage. The GP8000E has (4) 120-Volt 5-20R outlets and (1) 20/240-Volt L14-30R twist-lock outlet are circuit-breaker protected. The heavy duty never-flat wheels provide reliable portability for any use. 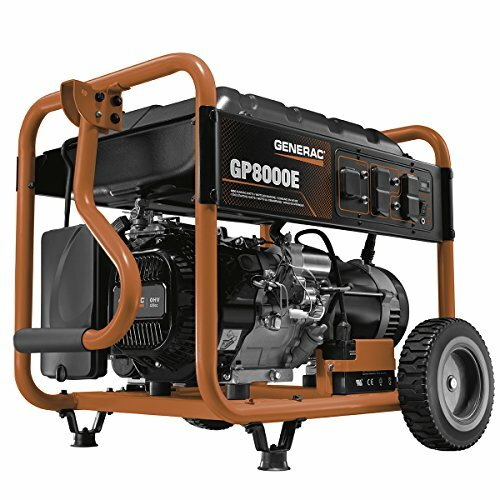 For over half a century now, Generac has been constantly developing new lines of portable generators, siphoning off technology from their premier commercial and industrial grade generators into the domestic grade portable generator range. With a high fuel efficiency, sturdy engine design and optimum performance, Generac is an expensive but totally dependable brand name. You simply cannot go wrong with a Generac product! A permanently installed Generac home backup generator protects your home automatically. It runs on natural gas or liquid propane (LP) fuel, and sits outside just like a central air conditioning unit. A home backup generator delivers power directly to your home’s electrical system, backing up your entire home or just the most essential items. Don't worry about having to be there to start and stop your Generac home backup generator, b ecause it does that automatically. Whether you're home or away. You'll never have to run an extension cord through a window or door again. Your Generac home backup generator safely delivers power right to your home's electrical panel. 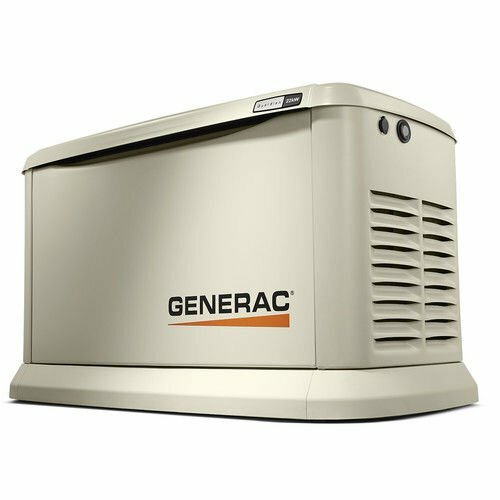 Generac created the home backup generator category. Today, their generators are preferred by 7 out of every 10 homeowners who invest in home backup power. They offer 24/7/365 Customer Support as well. ​A premium backup power solution that can protect your entire home. Unlike competitive units that run at a constant 3600 RPM, the Generac Synergy generator features patented G-Flex Technology that allows it to run at slower speeds when household electrical demand is light. The result is a home standby generator that is uncommonly quiet and exceptionally fuel efficient. Even better, the Generac Synergy generator can deliver cleaner power than competitive units - ideal for today's sophisticated modern electronics and sensitive appliances. The onboard Evolution Controller features a multilingual, two-line LCD text display with color-coded backlit buttons.